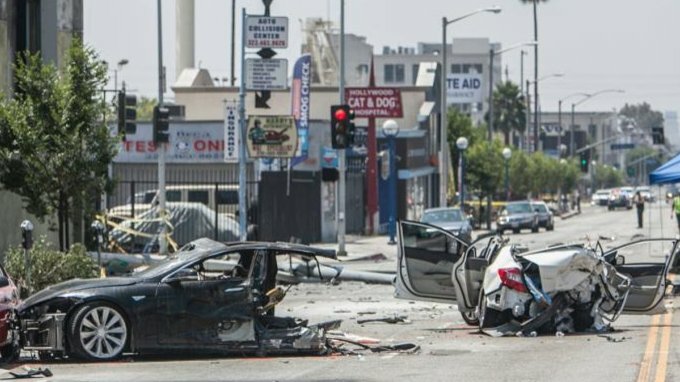 A stolen Tesla Model S crashed into cars before catching fire and splitting into two on Friday night in West Hollywood. The incident may revive an old debate about fire safety. 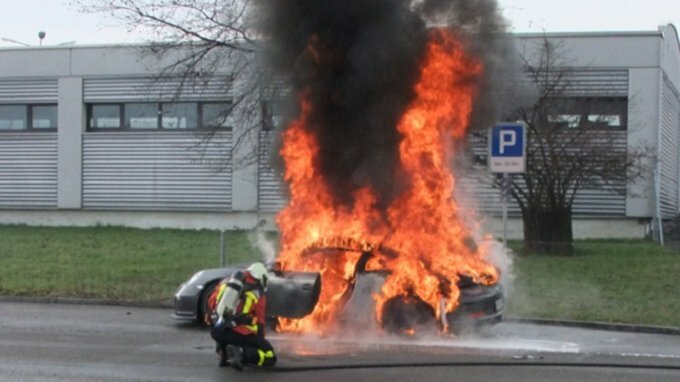 Owners of Porsche 911 GT3s are asked not to use their cars as they might go up in flames. 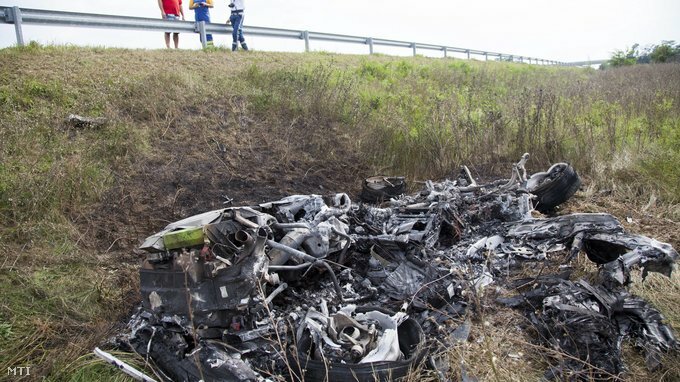 Six brand new Mercedes have been destroyed by a fire on a Hungarian motorway. 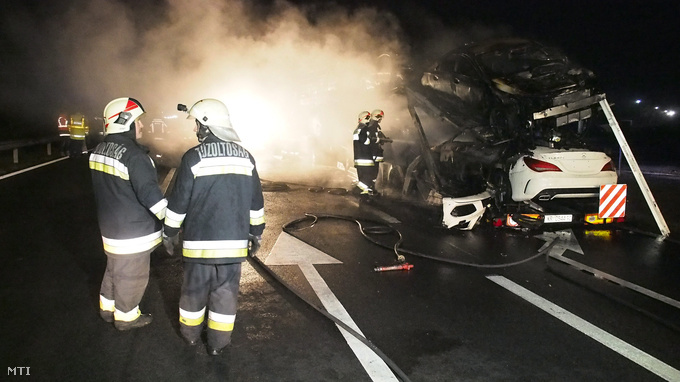 The trailer packed with CLAs was heading to Italy from the factory in Kecskemét when the cargo caught fire. 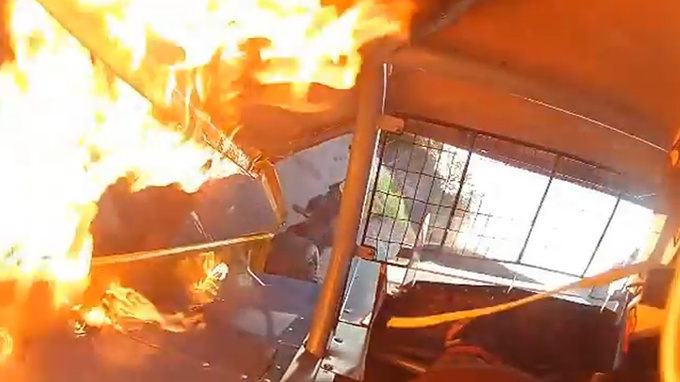 Trapped in the car upside down, helplessly watching the inflammable fuel dripping a few centimetres from his face squeezed into the helmet. 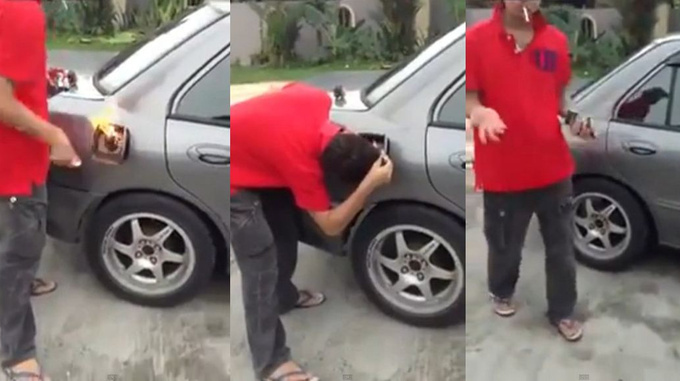 If there ever was a video that should never be made available for teens owning a driving license, this 40 second clip is it. 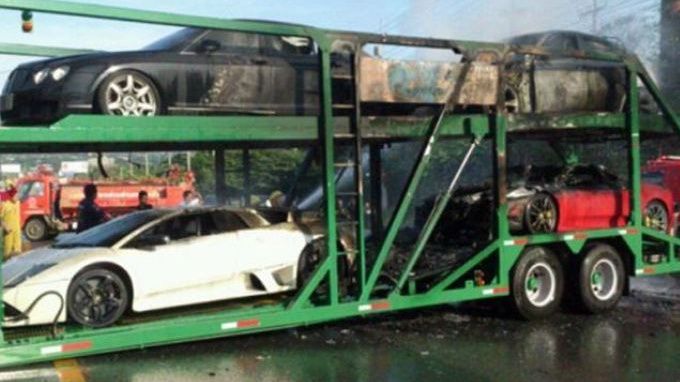 Some of the best European sports cars caught fire on the trailer of a Thai truck. The police are searching for their owners. 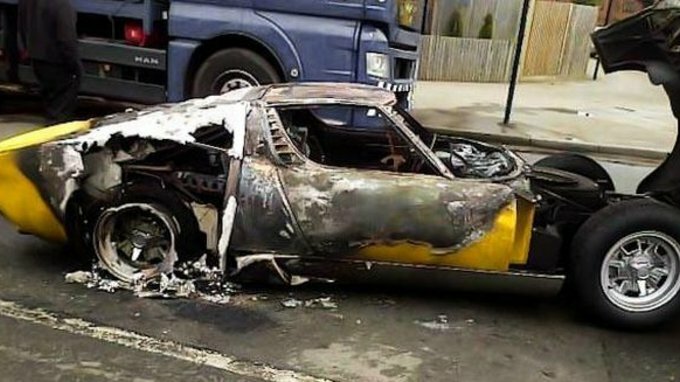 The car got away with minor injuries from hitting the pole, but it didn’t stand a chance against the fire. 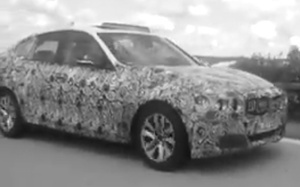 We probably shouldn’t have seen it at all, so we’re sharing it with everyone.